Your current business climate probably requires fast, effective, and concise communication. Sound and paging systems are designed to broadcast general information or emergency notifications to everyone in your building at a moment’s notice. These systems lend themselves to a variety of environments, whether stand-alone or in conjunction with a telephone system. However, finding the right sound system for your needs can be a difficult task. State Systems, Inc. offers the industry’s best in diverse sound and paging systems through GE Security, Valcom, and Class Connection product lines. Depending on your building or office’s needs, we can design a sound system for several smaller areas or zones in addition to total building coverage. Whether you need a paging or communication system for an educational institution, health care facility, or manufacturing plant—contact us today! Our licensed communication technicians can help design the optimal system for your Mid-South business—whether you are located in Tennessee, Mississippi, or Arkansas! Does the system’s background music stop playing when someone is paging? Can telephone speakers and paging speakers be accessed at the same time? Can different zones of speakers be defined? For example, can warehouse paging be specifically defined so that it doesn’t unnecessarily interrupt the front office area? Can paging be accomplished over a network to a remote site? Does the telephone system have page queues for each user so pages are kept short and don’t have to be repeated? Does the paging system support “talk back” so a person being paged can respond hands-free? Does the paging system support telephone night ringing? Does the paging system support connection to the fire alarm or other emergency systems? If you need a sound and paging system for your building in the Mid-South, call State Systems, Inc. today! Our technicians will help you figure out exactly what you need in order to optimize your business operations. To improve your business’s operations even more, we also offer wireless clock systems that can be integrated into your existing network and synchronized between each device to ensure efficient coordination throughout your organization. We have three options available to ensure your wireless clock integration system is best suited for your business. CDMA – this option is the easiest to install (no cables or wiring). With CDMA, your clock retrieves the time signal from cell phone towers, and locating and programming the controller is easy. GPS – this is the most common option, which retrieves the time signal from U.S. global positioning system (GPS) satellites circling the earth. Ethernet – if you have a network synchronized over a local domain, the Ethernet option may be the best choice for you. It receives the time signal via SNTP (Simple Network Time Protocol) or Daytime Protocol via an Ethernet connection in your office or place of business. 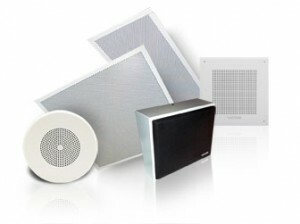 For more information about our sound systems, paging products, and services or for a quote, contact us today!